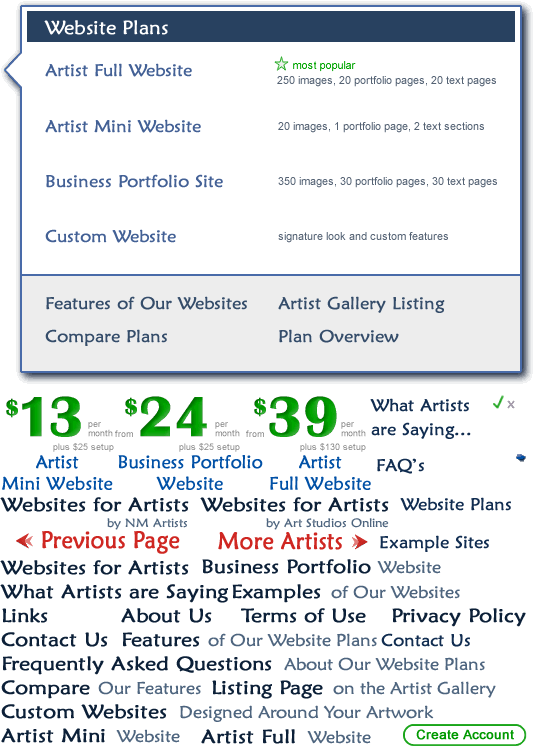 At Art Studios Online we pride ourselves in providing professional, affordable, artist websites that are easy to setup and simple to maintain. Our clients are our number one priority and we are commited to providing them with personal customer service. Here are some comments we've received about our websites for artists. “First of all I want to tell you how much I appreciate the ease with which I was able to update my site, including a fresh new look. I'm admittedly techno-challenged and you have made this so straight forward and a delight to use. Many thanks.